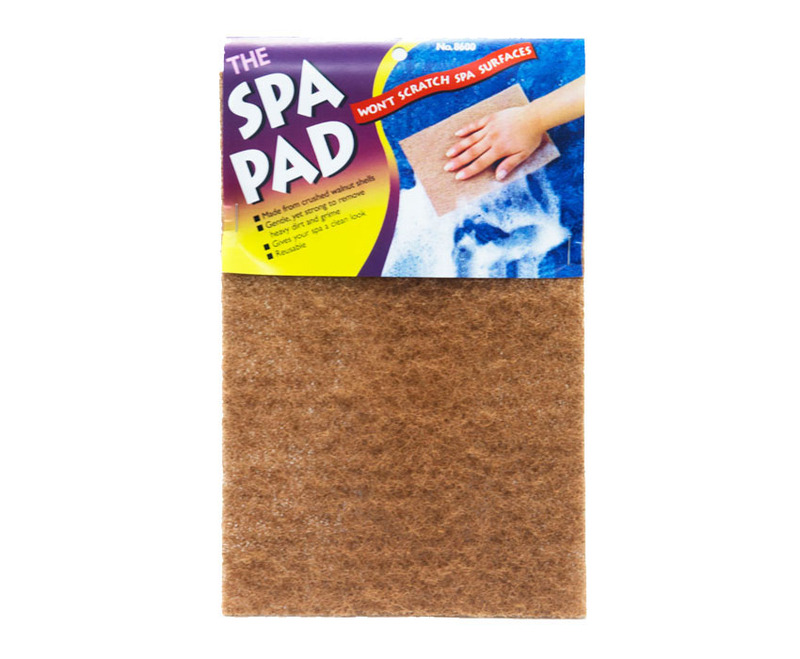 Spa Pad is specifically designed for cleaning the surface of spas and swim spas. 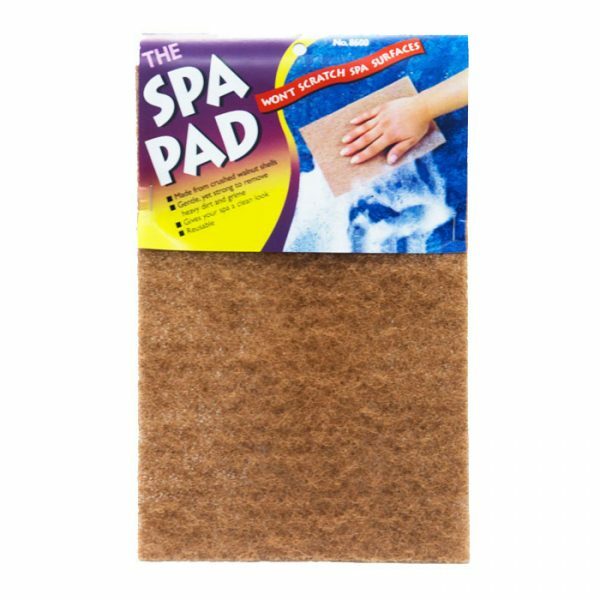 Made from crushed walnut shells, Spa Pad will not damage the surface of an acrylic spa, but is still strong enough to remove heavy dirt and grime, and difficult scum lines. We recommend using Spa Pad with a paste of Spa pH and Alkalinity Enhancer and Water.